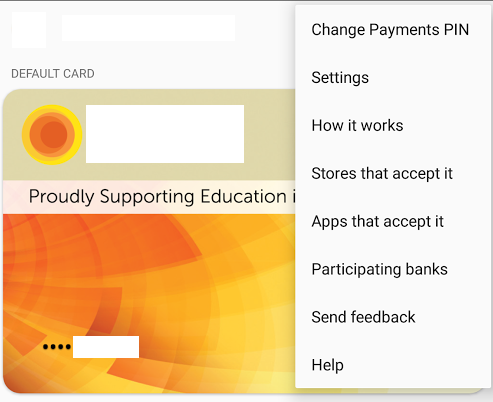 Android Pay version 1.4 is now rolling out to all compatible devices on the Google Play Store and in the official changelog there’s very little information about what’s been changed apart from additional translations. While it’s nice that Google is able to tell you in a dozen more languages that Android Pay won’t work for you in certain countries, what we’re all really hoping for are new features. Thankfully, Google has left some hints within the APK file of the latest update that point towards a new feature that will use your current location and pull up a map activity to show you nearby stores that accept Android Pay. Though Android Pay still has a long way to go before it will replace your physical cards, it’s nice to quickly pull up a map of the closest places you can try out Android Pay in case you want to cash in on the next promotion they run (when in doubt there’s always a Subway or Starbucks you can fall back on). Disclaimer: The evidence we dig up from the APK files of an app are not definitive. Google may choose to pull these features without any indication in a future release. Within every APK file there are a list of strings that define all of the possible text messages that can be shown to the user on the screen. Whether or not you can access the proper menu to see these strings depends on whether or not the feature has been activated within the actual code that makes up the app. But the mere existence of the string, coupled with a few other files that are new to the Android Pay app, point towards the existence of this new feature. First up, the strings themselves. Android Pay will soon display an icon that you can tap that will bring up the option to show you nearby stores that accept Android Pay. This new feature will require enabling the location permission (obviously) so it can show you a map of nearby Android Pay-accepting-locations. We’ve installed the app ourselves but we haven’t been able to find the icon to enable the feature, however, after further digging into the APK file we’ve found what the icon will look like. This icon will show up in the cards menu of the app (ie. three-dot overflow menu). It will be at the top of the list, so you’re bound to notice it when the feature goes live. We also found a nearby_merchants_activity layout file that points to the fact that a maps activity may be called when the icon is clicked, and if it’s anything like other Google services it will probably just pull up a custom Google maps activity that is set to only display those stores in its database that are known to accept Android Pay. We’ll have to wait and see when and if this feature rolls out, but it’s definitely a small step forward in getting people to at least try out Android Pay once.